GET A BIG REFUND THIS YEAR? AGI is the acronym for Adjusted Gross Income. It is generally the sum of a taxpayer's gross income less adjustments that are permitted by law (but before deductions and exemptions). Those who file Form 1040 can find their AGI at the bottom of page 1 of the tax return. Many tax benefits and allowances, such as credits, deductions, exemptions, etc., are limited by a taxpayer's AGI. There is also the term MAGI which is the acronym for Modified Adjusted Gross Income. Although MAGI may have a different definition for certain limitations and phase-outs, it is generally the taxpayer's AGI with certain excluded income added back. Generally, limits are based upon a percentage of AGI. Some deductions are reduced by a percentage of AGI until the deduction reaches zero. The two prime examples of this type of percentage limitation are medical itemized deductions (limited by 10% of AGI for most taxpayers beginning in 2013) and miscellaneous itemized deductions (limited by 2% of AGI). Others such as charitable contributions limit the deduction to a percentage of the AGI. Charitable contributions have three AGI limitations depending upon the type of contribution: 50%, 30% and 20%. 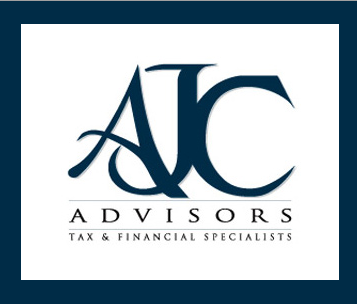 Careful tax planning can sometimes avoid or minimize the loss of tax benefits due to AGI limits. If you have advance warning of a large increase in income, it may be appropriate to schedule an appointment to consider alternative approaches to your tax situation. 1. Representatives of a broker-dealer("BD") or investment advisor("IA") may only conduct business in a state if the representatives and the BD or IA they represent (a)satisfy the qualification requirements of, and are approved to do business by, the state; or (b)are excluded or exempted from the state’s licensure requirements. 2. Representatives of a BD or IA are deemed to conduct business in a state to the extent that they provide individualized responses to investor inquiries that involve (a)effecting, or attempting to effect, transactions in securities; or (b)rendering personalized investment advice for compensation.